For monthly updates, explore EO happenings in January, February, and March. Space commerce is enjoying a renaissance period mainly due to technological advances that have dramatically decreased cost and increased data and related services. A $17+ billion market (and growing), today’s space industry is on the verge of entering maturity — the stage of self-discovery, boldness, and adventure. The maturing space industry is evident with players in both private and public sectors accelerating the recent advances in science and technology that makes operating in space more viable for commercial and research interests. This year thus far, the European Space Agency (ESA) tested its new 3D printed rocket thrust chamber to help design more efficient rocket engines. Almost at the same time, Orbex, a commercial British space company, unveiled the world’s largest 3D printed rocket engine that is lighter, fuel efficient, and expected to launch in two years. ESA and the UK Space Agency also recently examined preliminary designs of the world’s first air-breathing rocket engines that, if valid, will also reduce weight in exchange for more payloads. There is of course also SpaceX’s reusable rocket technology that successfully launched its Falcon Heavy in late 2018 with a payload of 64 satellites, and plans to launch its Big Falcon Rocket that will carry a heavier payload later this year. Seattle-based satellite design and manufacturing company, LeoStella, inaugurated its smallsat design factory signifying market opportunities. The Australian National University releases research results showing that 2D materials can withstand space’s harsh environment. The materials can enhance space instruments. Facebook is designing space laser communication satellites to provide internet access widely, while Amazon Web Services (AWS) commenced its Ground Stations satellite data collection services, allowing for faster and cheaper data processing. These innovations in space hardware and services are a game changer for the entire industry. A microcosm of the overall space industry trend, Earth observation — that is, the collection of information about Earth — is subsequently entering a new era as indicative of activities in the first quarter of 2019, including predictions on its commercial viability, that the sector will become conventional in the UK within a decade, and its emerging market in Europe. Moreover, more non-traditional players are entering the field. Argentinian private firm, Satellogic, announced its plans to map the Earth at 1-meter resolution weekly and signed a launch agreement with China Great Wall Industry Corporation to launch a constellation of 90 satellites. With a U.S. $72 million grant from China, Egypt’s high-resolution EO satellite launched with success. In the meantime, earlier launched satellites are now providing data. China’s National Space Administration successfully tested two EO satellites that provided information on air pollution and data that can monitor agriculture and crop yield. Both satellites launched in 2018. The Argentina Space Agency’s synthetic aperture radar satellites, which launched in October 2018 to examine Earth’s soil moisture and surface deformation, released its first images to the public. ESA released data on methane and ozone in Earth’s lower atmosphere from its Sentinel-5 satellite that launched in 2017. Other data providers are moving data to the cloud. The United States Geological Survey made its Lidar data over the US available as a public dataset via AWS. 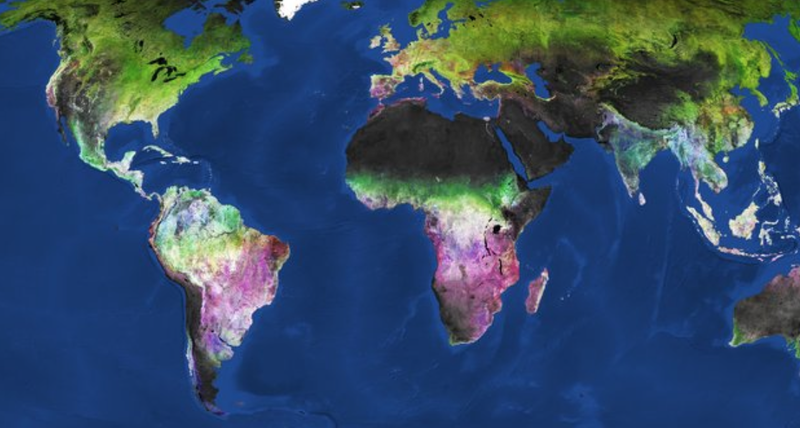 NASA’s Earth Observing System Data and Information System (EOSDIS) is gradually moving its data to AWS. The move counterbalances the growth in data and the resulting difficulties for distributing and analyzing the data. As exemplified by this first quarter of 2019, this is an exciting time for the Earth observation marketplace — and we look forward to providing you updates on how the market continues to change. You can keep track of market updates monthly via our EO Market News channel. A non-profit committed to aggregating the world’s open Earth imagery and providing access and education on its use to the global development community. Helping the global development community navigate the Earth observation marketplace and geospatial technology innovations.